I love how banging various metal lures out there is such a simple but effective way to catch bass, but as with all of this you can of course delve deeper into it all and start playing around a bit. 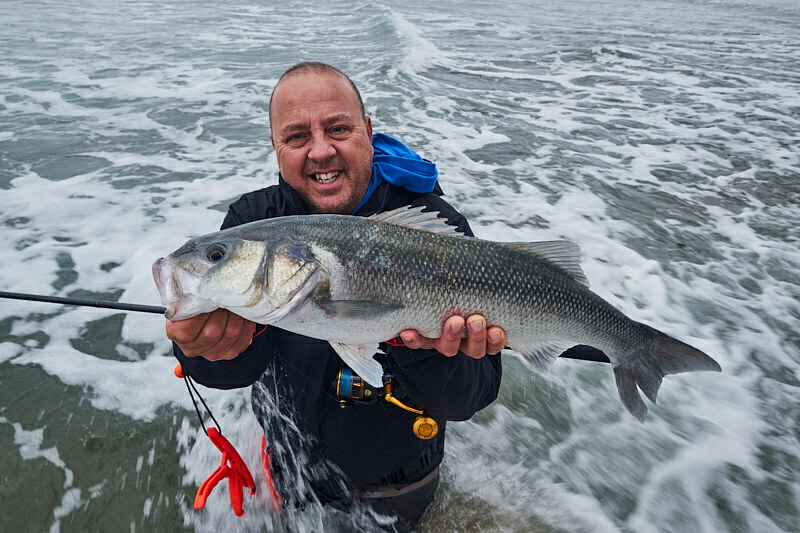 The more of it I do, the more I am forced to learn about different kinds of surf and how the bass seem to react, how different lures do and do not work in different conditions, the kind of lure rod that I think works best for me when I am fishing like this, and so on. And I am absolutely fascinated in the whole slow jigging thing that has come over from Japan - metals can simply be metals, but they can also so much more. Crumbs have I got a lot to learn about it, but I am also reminded that sometimes the most direct and simple approach is the way to go because the conditions dictate it. We were fishing a local beach early last week and we had what looked to be some pretty tasty surf fishing conditions. I had loaded up my lure box with a bunch of different metals and I had every intention of having a proper play with a few Major Craft slow jigs that I had picked up at the European Sport Fishing Show the other day. Best laid plans eh? And that is why Mike Tyson’s famous saying “everyone has a plan 'till they get punched in the mouth” keeps rolling around my head when I make a few fishing plans in my head before I get out there and in amongst it - and then the actual conditions demand that we adopt and adapt our plans if we want to have the best chance at catching fish. 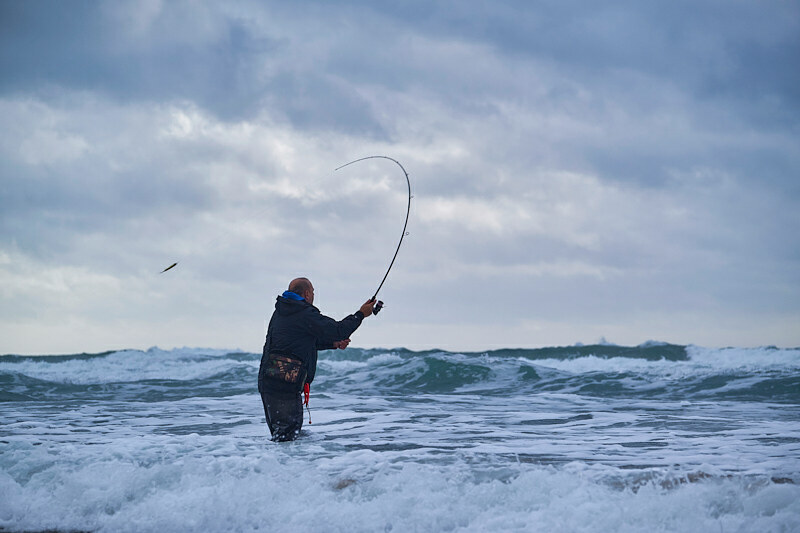 I am often almost visualising how I’d like to fish before I get out there, but the wind direction and strength is of course the punch in the mouth. Now you have to bear in mind that I am at day one with the whole slow jigging thing from the shore, but a few years ago I played around a bit with some metals rigged with assist hooks and they nailed bass and pollack big time. I am interested in it and I want to do more of it, but I hope that I am also realistic about when I can properly fish like this - and the other day was not the time for this. Make all the plans you like but I would argue that now you’ve got a strongish wind right in your kisser and/or slightly across and you’re also trying to time where you stand with the surges and any attempts at “technical lure fishing” kinda fly right out of the window. 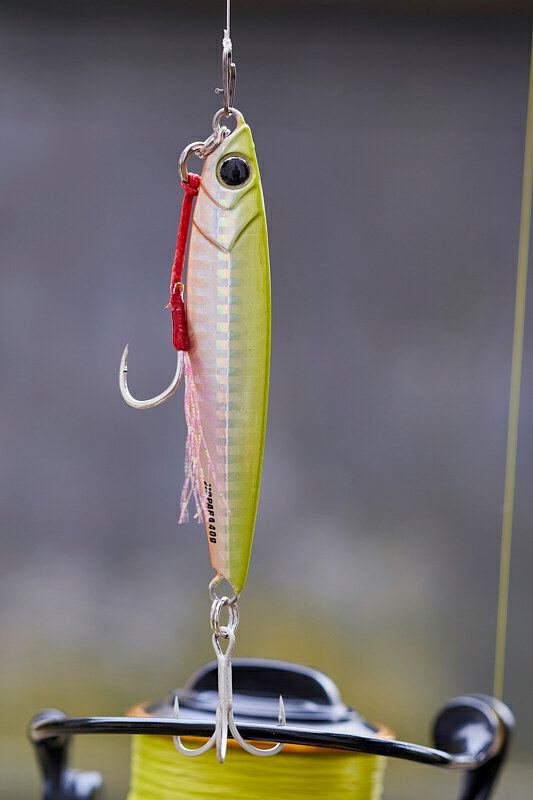 It seems to me that the whole point to this slow jigging stuff is maintaining proper and direct contact with your lure - which of course you can’t properly do when the wind especially is pumping right at you. That slack in my line is hugely reducing how I can properly work a lure.